An environment friendly bricks, made out of fly ash, having superior strength and excellent quality. E-Brix contains right mix of high quality fly ash, sand and cement which provides better compressive strength with attractive smooth finish. It also saves on land degradation, environment pollution and construction cost. Company is also one of the largest producers of environmental friendly fly ash Eco Bricks in M.P. The "Eco Bricks" are both user and environmental friendly, made from high quality fly ash, stone dust and cement, using a modern sophisticated fully automatic machines. The Eco Bricks are both user and environmental friendly, made from high quality fly ash, stone dust and cement, using a modern sophisticated fully automatic machines. 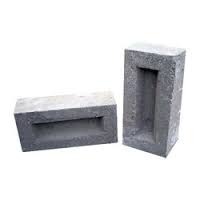 With the help of dexterous experts, we have been capable to offer an extensive range of Low Density Fly Ash Bricks. These are extremely used owing to longer life. 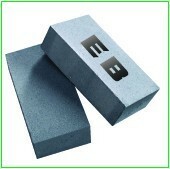 We are the manufacturer of Eco Blocks. Riding on unfathomable volumes of industrial expertise, we are engaged in offering a broad assortment of Surya Eco Brick. Hi- Tech P.C.C. Bricks & Co.